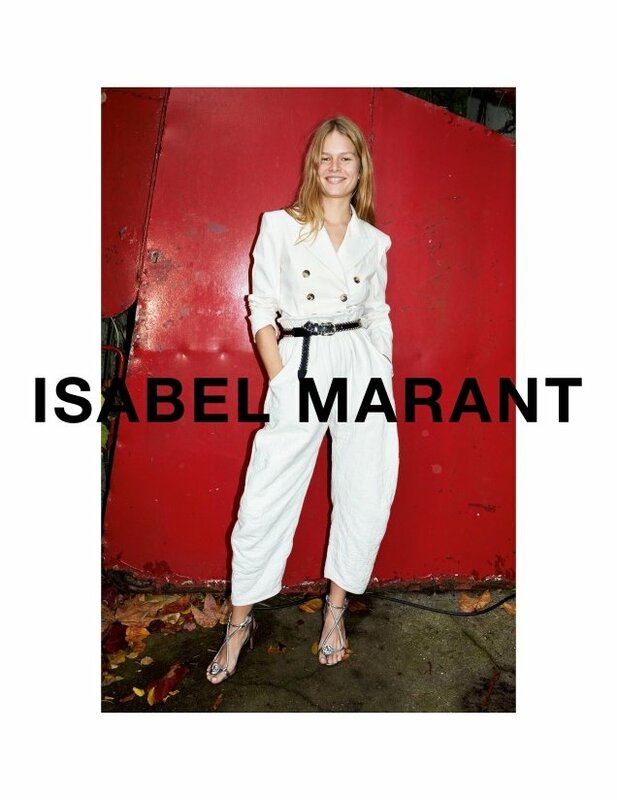 Anna Ewers has been the face of Isabel Marant for the past three seasons and, ever since her debut, our forum members haven’t exactly been supportive of the pairing. After last season‘s boring campaign, the French label has ditched long-serving photographers Inez van Lamsweerde & Vinoodh Matadin (who have captured umpteen campaigns for Isabel Marant) and hired Juergen Teller to shoot the Spring 2018 campaign. This time around, Anna is captured in full color and is all smiles while wearing Marant’s latest collection. Time for change? Our forum members sure think so. “There’s a Terry Richardson vibe which puts me off. And it’s about time fashion should cast Anna Ewers in a proper campaign where she does actual modeling,” complained Benn98 at once. “It’s a little Terry Richardson x Alexander Wang. This could be so much better,” wrote mathiaskatz. “Her again? Geez. I hate this,” fumed guimon. “The cheesy grin doesn’t suit Anna at all, makes her look so ordinary” mikel voiced. Also far from impressed was forum member anlabe32. “No thanks. Neither Anna nor Teller is something I get excited about,” she shared. Simon wasn’t enthusiastic either. “What happened to Anna? She’s been looking like she’s so over it lately,” he pointed out. “Maybe time to go back to I&V,” suggested Lola701. “The campaigns by I&V where so much better. I love Anna but she and Teller aren’t a good match. She can’t pull out her supermodel skills in shots like this,” ranted dcmaike. Care to see another model next season? See more from the campaign and voice your own opinion with us here.